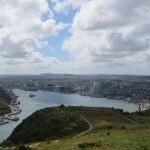 Resting in St. John’s, I’ve been trying to process completing this trip across Canada but to no satisfaction. How do you cleanly package a summer of cycling? How to you neatly tie a bow around over 8200km (5100m) on a bike? You know I’ve cycled almost one quarter of the way around the planet or to make it sound more impressive, a dozen round trips to the international space station. Maybe time will reveal what it all amounts to? 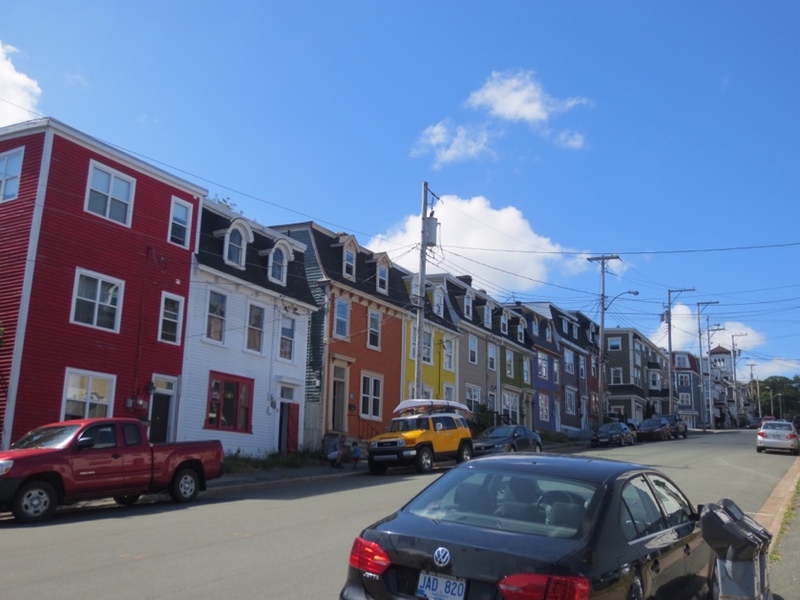 I explored the city some but I must say that St. John’s is not an easy place to navigate by bike. 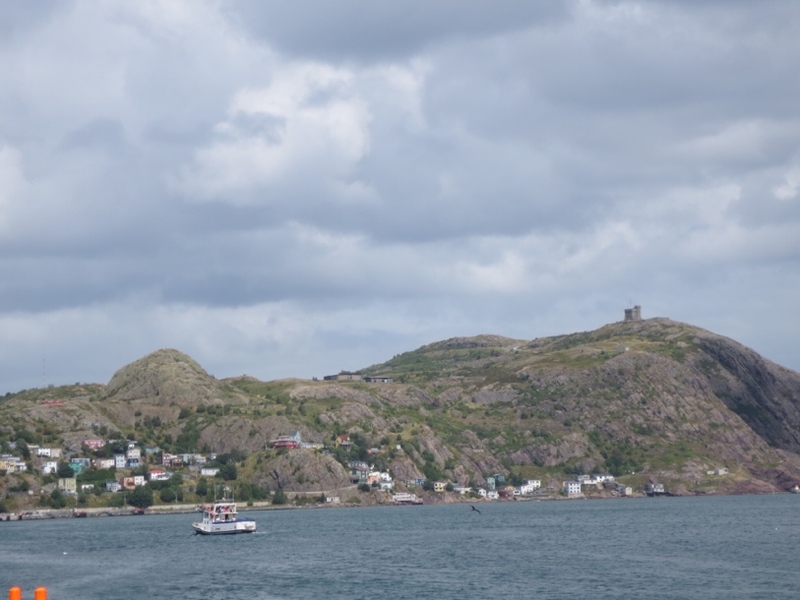 Located on the steep embankments around the harbour, there are impressive hills both difficult to climb and tricky to descend. Quebec City was equally inhospitable to my poor calves. 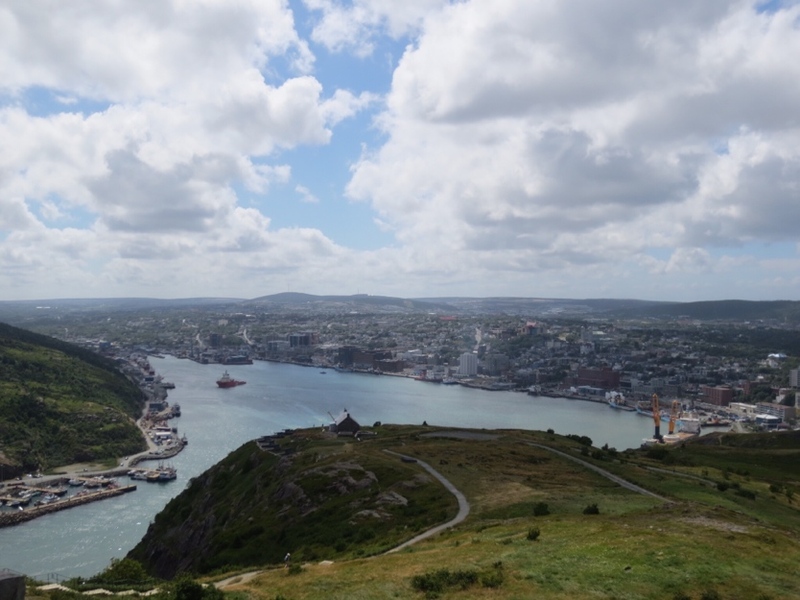 I went up to Signal Hill where a tour guide took a splendid shot for my completion photo. There are no sandy beaches here for a tire dip. It’s all rugged coast. 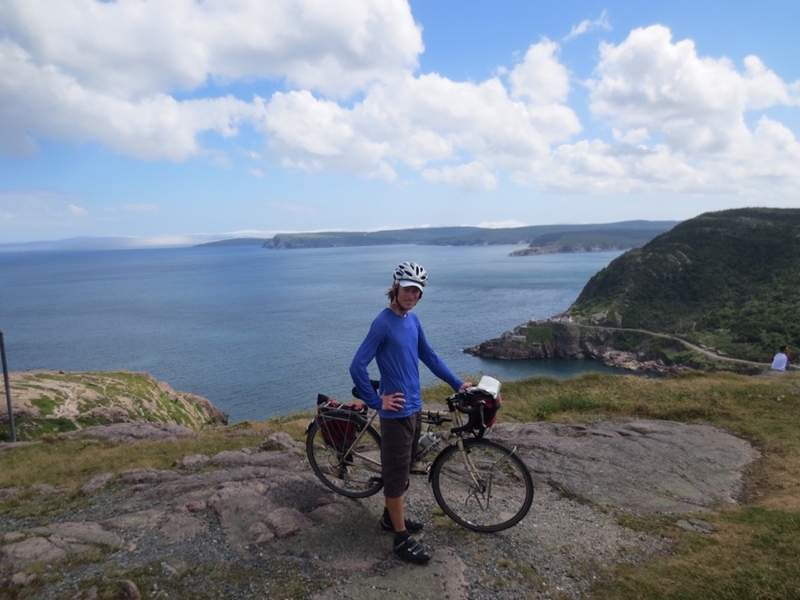 I also cycled out to Cape Spear, which it the most easterly point on the continent. It’s no easy place to get to from the city with some extreme grades but a splendid spot well worth the effort. I accidentally and very stupidly deleted the pictures I took there. It was a lovely sunny day and as I was trying to sort my thoughts, I watched this heavy fog roll in from the ocean. With the craggy cliffs and the lighthouse a few hundred above, it was a very arresting view. The heavy fog and deleted pictures seem like perfect representations for the empty space where my reflections about finishing the trip should be. I couldn’t get myself to make the 3hr detour again but the fog may yet lift. At the very least I have abundant fodder for escape during the long, cold days of winter. Of course my trip is not over yet which also keeps the feeling of completion and accomplishment at bay. I have about another thousand kilometers to cycle before I get back home to Boston. Just the thought of home and hearth is going to put a little extra oomph into my pace. Every kilometer now gets me that much closer. If all goes as planned, I’ll make it home August 10th and exactly three months since I started cycling. Hopefully the fates will keep their grubby hands off my well laid plans.